We are a locally owned business specialising in concrete and epoxy floor systems for both commercial and residential applications. We understand concrete is a fairly permanent addition, this is why you want to use a concreter that cares first and foremost about your property and how the end product will look. Our aim at Solid Surface Group is to provide you with the perfect concrete flooring solution to suit your specific needs. We will provide you with advice around finding the best concrete solution, whether with slabs, paths, polished concrete or epoxy flooring finishes. We have a reliable team with over 20 years experience and a wealth of product and technical knowledge that we can offer our clients. We pride ourselves on offering services and products within budget and completed in a professional and timely manner. Laying concrete is a big decision which should not be taken lightly, you plan for the concrete to be there a long time so make a good decision great by choosing Solid Surface Group for your next project. Troy Maddalena is a qualified concreter and a certified concrete floor polisher and epoxy installer. 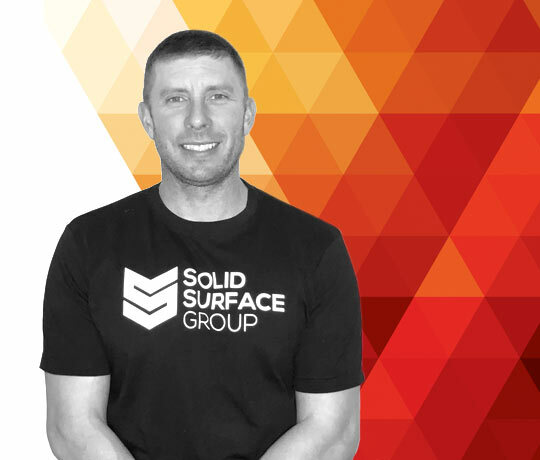 He has more than 20 years experience in the concreting industry, having worked on a diverse range of commercial, industrial and residential projects. Troy is committed to customer satisfaction and nothing gives him greater pleasure than helping you find the right product for your home or workspace.